Welcome to La Escuelita! We appreciate your interest and look forward to getting to know your family. You will find lots of information about the preschool admissions process on this section of the website and we encourage you to contact us at any point if you have questions. We look forward to meeting you. La Escuelita is the leader in combining an excellent preschool education with bilingual instruction in Spanish and English. The school year runs from September through June, and is based on the NYC public school calendar. Students must be 2 years old by September 1st in order to attend La Escuelita. Children in the 2 year old classes are taught primarily in Spanish, while children in the 3 and 4 year old classes are taught in English and Spanish with an emphasis on Spanish. This is a proven research-based approach which maximizes time spent in the non-community language (Spanish) while allowing some time for vocabulary building in English. All classes are led by native Spanish speaking staff, with one Head Teacher and two Assistant Teachers per classroom. Information Sessions for the 2019-20 School Year have now been completed. The application includes questions about your family, your child, and your interest in dual language education. We use the application questions as a way to begin to know your family and to start the conversation during our family meeting. We also use your responses as a way to know what kinds of further information you need about La Escuelita and about dual language education. There is a $50 application fee, which is reduced to $20 for those families applying for tuition reduction. A family meeting is scheduled once an application is received. The family meeting provides an opportunity for us to get to know your family better, to discuss what you are looking for in a school, to talk about the program options for your child’s age, and to answer any questions you have. The Family Meeting also includes a tour of the school. Children are welcome to come to the family meeting, but they are not assessed during the meeting or at any other point in the admissions process. As a not-for-profit, La Escuelita relies on tuition as its primary source of revenue. Tuition is set annually by the Board of Directors and represents the cost of operating the school, including rent, teacher salaries, benefits, and supplies. Tuition is all-inclusive. There are no field trip fees or other additional costs involved. Typically, a deposit is paid at the time of placement acceptance with the reminder of the tuition paid in four installments throughout the summer and fall. Tuition for the 2019-20 school year is as follows. Approximately 25% of La Escuelita families receive tuition reduction. This percentage has been consistent since the opening of the school and represents a community effort to include families from a broad range of incomes and backgrounds. Tuition reduction allocation is based on need and the availability of funds. For some families, tuition reduction allows payments to be spread out over the course of the year; for other families, the overall amount of tuition is reduced according to income and assets. If you are requesting tuition reduction, please email Executive Director Kelley Grant, Kelley.Grant@LaEscuelitaNYC.org. After your family meeting, Kelley will provide you with the necessary forms. After January 9th, applications are still accepted on a rolling basis. 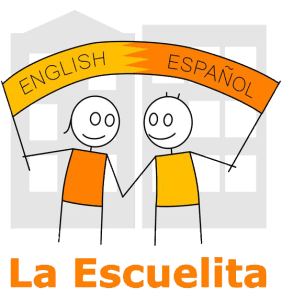 Does my child need to already speak Spanish to attend La Escuelita? No, not at all! Teachers are very adept at including English dominant children into classroom play and activities, and every classroom has a mix of children from monolingual English and Spanish to students who come from bilingual (or trilingual or quadrilingual!) families. We are a family-oriented school. Siblings have first priority for admissions and are offered placement before non-siblings. However, every year there are open places in every class for new families, and we welcome and value new members of the community. Why don’t you assess children through playgroups? 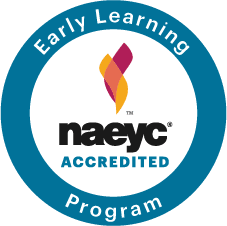 We believe, and research has shown, that a dual language, developmentally appropriate preschool education can benefit all children. There is no need for an assessment at the time of application, only a willingness on the part of the family to support bilingualism. However, based on discussions during family meetings or observations during the first few weeks of class, it occasionally becomes clear that a child may benefit from outside specialist services. In those instances, we assist families in finding those services. Should I choose 2 days per week, 3 days per week, or 5 days per week for my 2 year old? This is a conversation to have with the Educational Director during your family meeting. Some 2 year olds are eager to be in a social environment every day, while others benefit from a slower transition from a home to school setting. Are there spots for families that choose Regular Notification? Of course! La Escuelita recognizes that not every family is ready to commit to a dual language preschool before hearing from all their options. While many seats are filled by those families choosing Early Notification, in previous years there have been spaces for families applying through Regular Notification. What’s the difference between the morning and afternoon classes? Both classes cover the same curriculum, use the same themes, and have the same teachers. However, the afternoon classes tend towards slightly older 3s in the 3/4s. In addition, mornings are stressful for many families, and some parents appreciate a more leisurely start to their day. Other families prefer the three day per week afternoon schedule, while the five day morning schedule offers more consistency and Spanish language exposure. To facilitate separation, our teachers visit each student at their home before the school year begins. By meeting your child in their most familiar environment, teachers make their initial connection when a child is comfortable and supported. Teachers introduce themselves to the student, leading him/her in an individual piece of an art project which will later decorate the classroom door, greeting children on their first day of school. When the school year begins, some children move to new situations easily and others need a more gradual approach. Caregivers should be available as the child is learning to separate. Your child’s teacher will guide your family through the process. There is no set timetable, as some children are ready to separate on the first day, while others need a week or two to settle into their new environment.